At Magnum Contracting Group, our Long Island roofing contractors understand the importance of your roofing system. It provides your property with protection from severe weather and the elements. As such, the integrity of your roof is absolutely vital to the comfort and security that your family enjoys within your home. 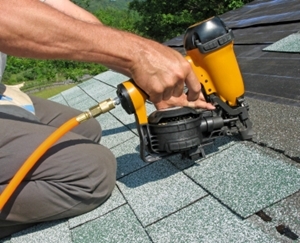 Our professionals are always ready to assist you with roof repairs in Long Island. Our team is humbled by the fact that so many local families and businesses have trusted us over the years to maintain their roofing systems. Our goal is to develop long term and mutually beneficial relationships with all of our customers. Each time we conduct repairs on your roof, we strive to add long lasting value to your property. 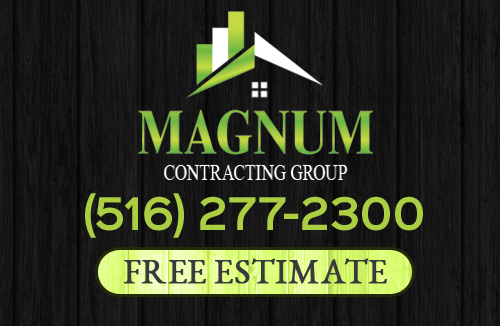 If you need roof repairs in Long Island, call Magnum Contracting Group today. Our courteous and polite staff would be happy to take your call and to answer any questions that you may have. We can schedule your appointment today. The primary way in which your roof protects your property is by providing a waterproof barrier between the interior and exterior off your home. While your roof is still preventing water incursion, there is generally little to worry about. However, once a leak occurs, damage will begin to take place at an ever-accelerating rate. For this reason, it is absolutely imperative that you contact a professional at the first sign of roofing damage. The sooner you resolve the problem, the better of you, your family, and your property will be. Inevitably, you will need to repair your roofing system; conducting them early minimizes damage and lowers cost. Our highly skilled roofing contractors in Long Island can address and resolve any of the above mentioned problems. Through our high quality roof repair services, we will restore your roofing system to the best possible condition. You are guaranteed to be satisfied with the results. If you need roof repairs in Long Island, please call 516-277-2300 or complete our online request form.